One of the most interesting details ‘bout this band is their musical approach: Swedish-oriented, while originating from Germany. Of course the Swedish scene did inspire hundreds on non-Swedish bands all over the world, but chauvinistic countries or lands with a pretty strong, own scene aren’t that easily seduced to cover another scene. 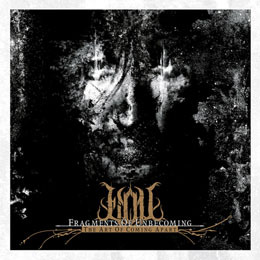 Fragments Of Unbecoming, however, is an exception, but there are several German bands that do not dislike to play their Death Metal this way; think Words Of Farewell, Dawn Of Winter, Emergency Gate, Soul Demise, Immortal Rites etc. The Art Of Coming Apart, as a matter of fact, does not differ from the past. It has been mastered by Dan Swanö, by the way, so there’s the first Swedish element when it comes to this new album. And again, the quintet (still consisting of the three original members, Sascha Ehrich, Stefan Weimar and Ingo Maier, now with Sam Anetzberger, who joined the crew shortly after the recording of their first full length, and Christopher Körtgen, who became part of the band right before the release (yet after the recording sessions) of their last album) brings a form of powerful, massive Thrash-edged Death Metal, sounding both catchy and heavy. The whole is rather blasting and melodious than technical, and at the same time timeless for balancing nicely in between the early days (and then I dare to refer shamelessly to the initial Gothenburg-scene, amongst others), and the current days. Modernism with an old styled approach, if you want to.